Got up this morning had tea with the Swiss guy who’s name was Christian I think, Kev attempted a temporary repair on the bike as we only have 80 miles to Tynda where hopefully he get it sorted. 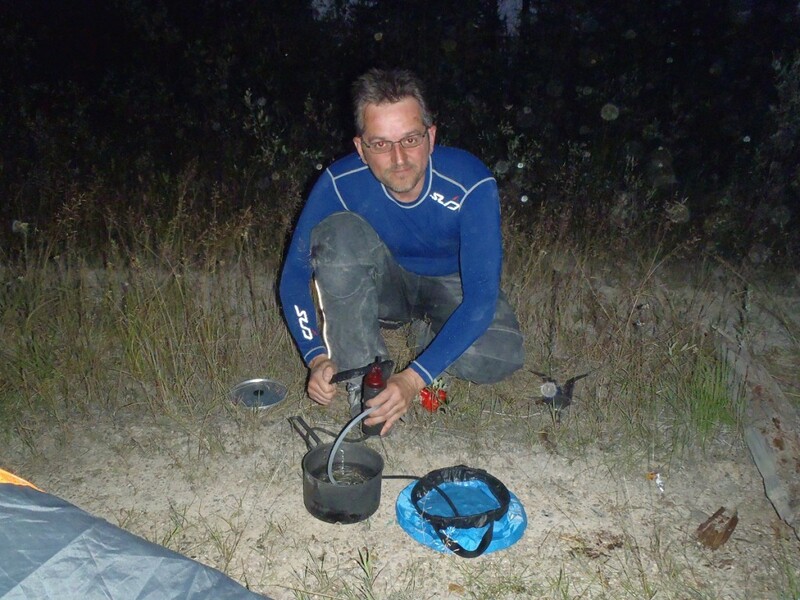 M56 Lena highway 2nd campsite. So arrived in Tynda around midday got checked in the hotel and had our second hot shower since we arrived in Russia over 2 weeks ago, It was great!!!! After a bite to eat Kev went for a spin on his bike around town to look for somewhere to help fix his fairing bracket, whilst I had a cheeky kip :). He found an auto parts shop and whilst messing with the bike outside a fella came over and pointed towards his garage beckoning him over. Within minutes his drill, grinder, and all other tools came out and he cut one of his spanners down to act as a splint on the fairing frame. As Alexandra was working on the bike a crowd started to gather and it turned out it was the HQ of a local endure biker club what a result! He also met a guy called Max who spoke good English and as far as we are aware is the only biker to ride the eastern part of the BAM from Vanino to Tynda. Alexandra fixed Kev’s bike but would’nt take any money for the repair, so Kev invited the guys out for a beer and pizza later as repayment. Kev arrived back at the hotel a couple of hours later and we went for a stroll around the town, Tynda is small with around a population of 30,000 and not much else so didn’t take to long. It’s the cross roads of the M56 Lena and the BAM railway, so if you pass through it you would have actually rode a section of the BAM. Tynda Bikers pizza and beer. Chatting to Max about the western BAM he thought that our bikes wouldn’t make it, they were to big and carried to much gear! Strange as we thought they were lightweight with pretty much minimal luggage 🙁 . Max and some of the others had rode to Chara a few times on 250’s and when he did the Vanino part it was also on a 250, some of it had to be ridden along the side of the tracks. Many beers and a few pizza’s later at around midnight the heavens opened, a torrential downpour later and we were soaked to the skin but happy (well drunk!). 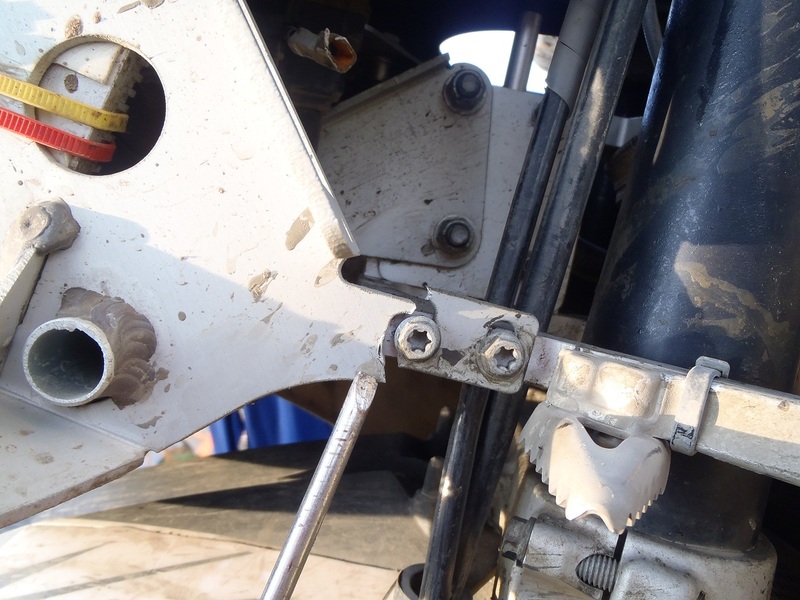 This morning whilst having a cuppa and checking the bikes Kev found that one of his upper tank mounts had sheered off, and these were replacement toughened ones from Rally Raid. Luckily I had a bolt the right size though not tampered so in that went and we’ll just have to keep an eye on it! Kev’s top subframe bolt snapped at the M56 Lena campsite. M56 Lena highway 1st campsite. We had about 150 km of tarmac today which was a nice break from the constant vibration and rock smashing, the funny thing here is that you could ride for 100km of gravel/rock then all of a sudden you come across 500m of really good tarmac in the middle of nowhere, why I don’t know. 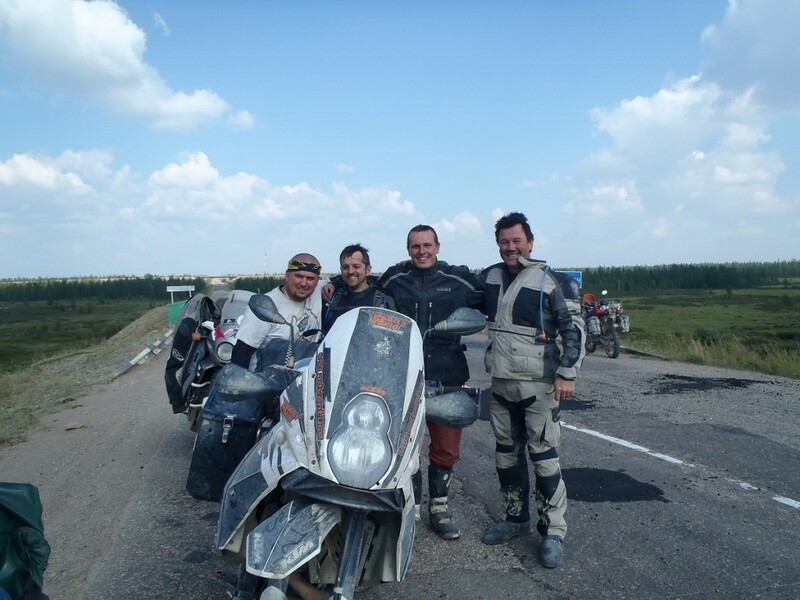 Riding along about 4 this afternoon and we bumped into two bikers from Poland heading for Magadan we stood and swapped information and had a chat for an hour or so. These guys were on Africa twins so very heavy bikes to be doing these roads on but they seemed very capable lads. 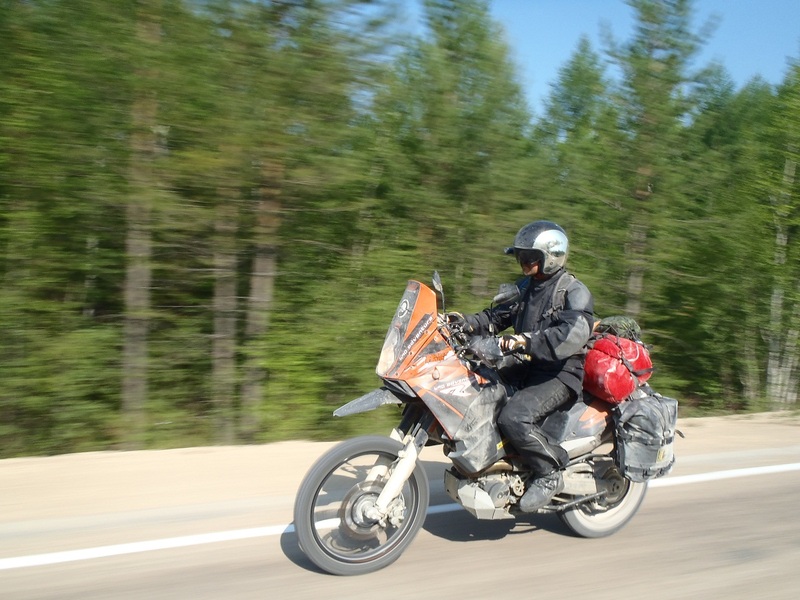 Polish bikers M56 Lena highway. 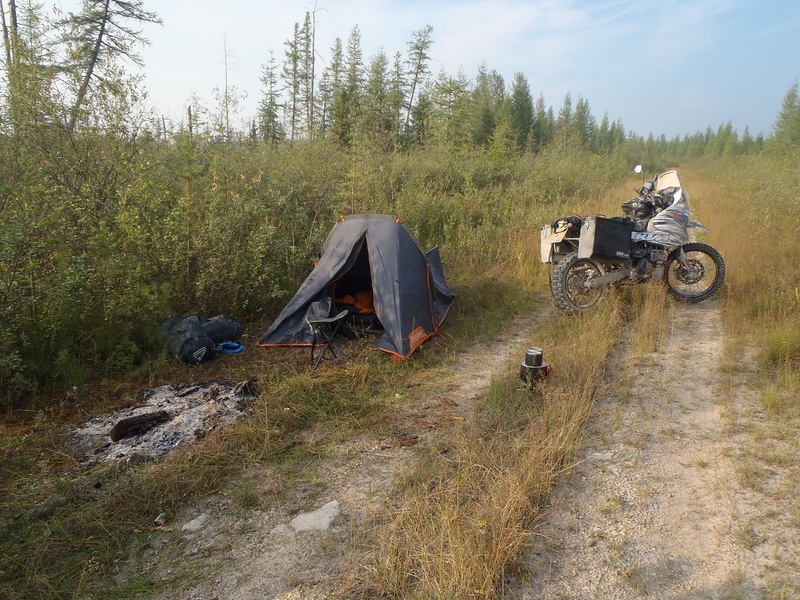 So off we went again on our way to Tynda but by 8pm we still had 80 miles or so to go and the road was rough so decided to find a place to camp. Whilst we were sitting on a bridge waiting to pull off the road without being seen we spotted something coming towards us in the distance so decided to let whoever it was pass then we’d head in and make camp out of sight. 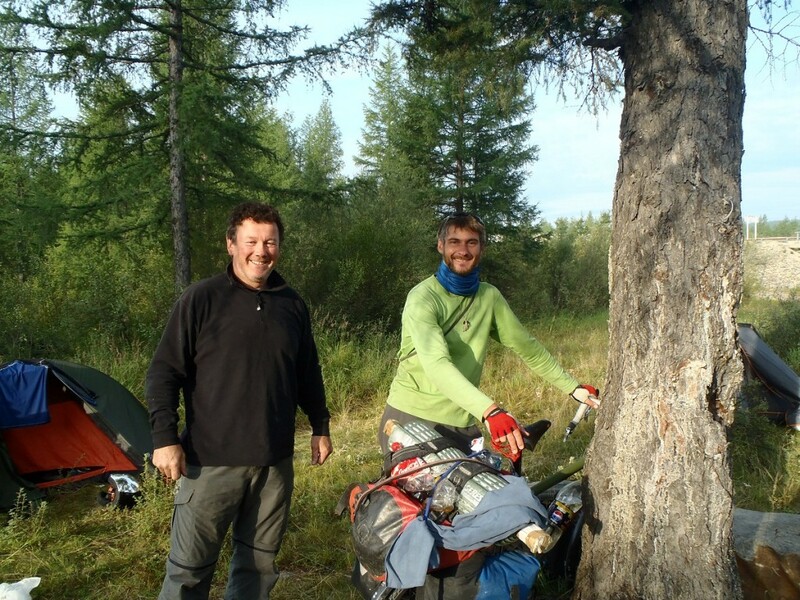 It turned out the object coming towards us was a guy from Switzerland on his push bike also heading for Magadan so after a brief chat with him we all made camp together had tea and a good old chat, this guy is something else!!! 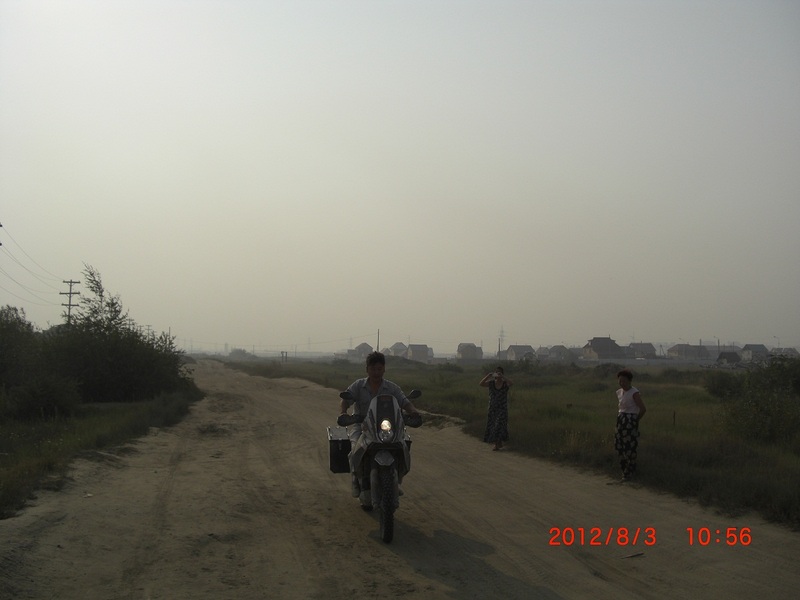 He had travelled the western part of the BAM in stages as and when he had holidays, he also carried an inflatable boat on the back of his bike for crossing rivers! 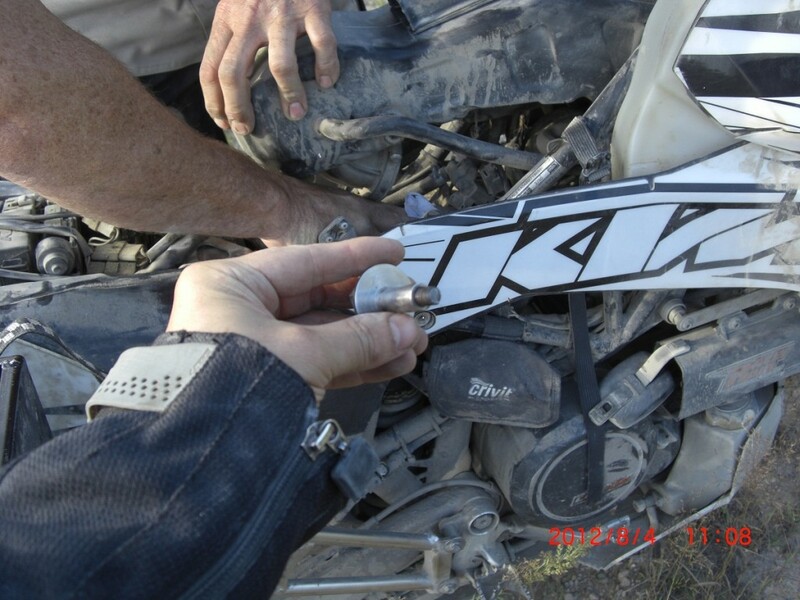 Kev’s front fairing bracket snapped! Tonight Kev noticed that part of his fairing frame had snapped so tomorrow we’ll have to try find an ali welder to sort it before the Bam road, his bike is slowly disintegrating. Our rear tyres are getting low so we are going to try to arrange for tyres to be delivered to Irkutsk when we get there in 10 days or so. 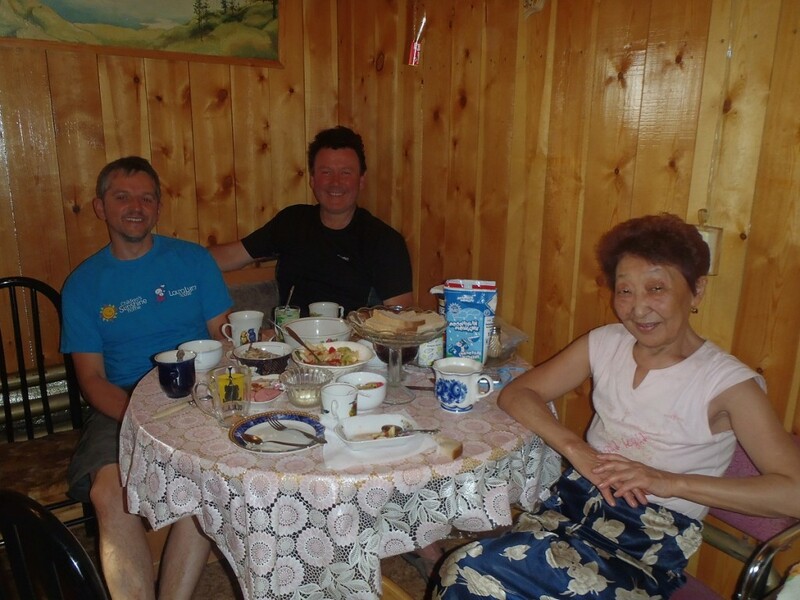 Time to leave Yakutsk and our new friends but not before the breakfast mom had once again prepared and then the good byes. A few more family members came over to see us off and wish us luck on our travels and two of them wanted to ride the bikes! How could we say no! so one of nicks cousins went off on my bike like a bat out of hell and the other cousin went off on Kev’s and disappeared. Nicks cousin on my bike. He had got to the end of the road and stalled it but we were thinking the worst! Nicks cousin on Kev’s bike. So off we head waving goodbye all the way down the road, we had to cross the Lena river again so it meant hanging around for a ferry for an hour or so. When we got off the other side we headed off in the wrong direction for about 10 Min’s which was a pain as the road was shite. 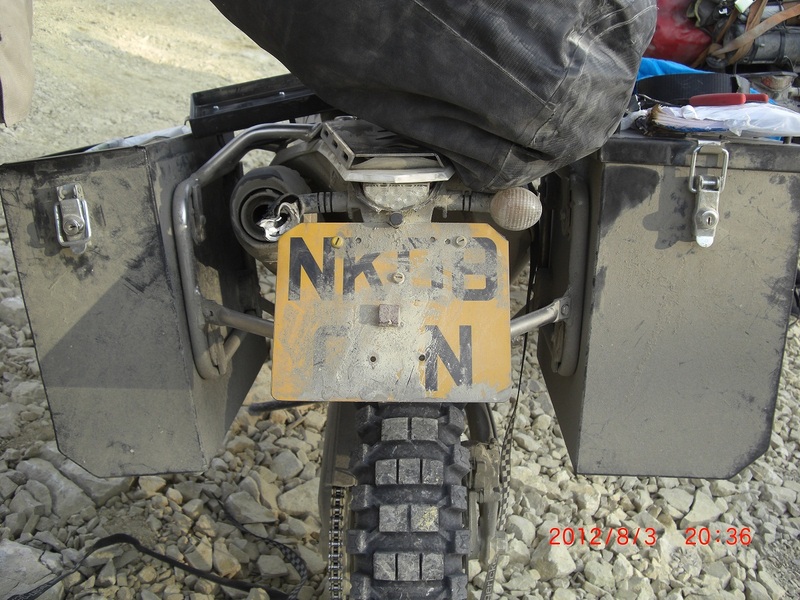 The road was rough leaving Yakutsk and was starting to take its toll on the bikes with nuts and bolts coming loose and some falling out altogether, tough old road and relentlessly boring. Give us the old summer road any day! Kev’s indicator became the next casualty of war and decided to catch fire, lucky it only burnt through his roll bag before he got to it. The bikes and gear are taking a serious pounding! 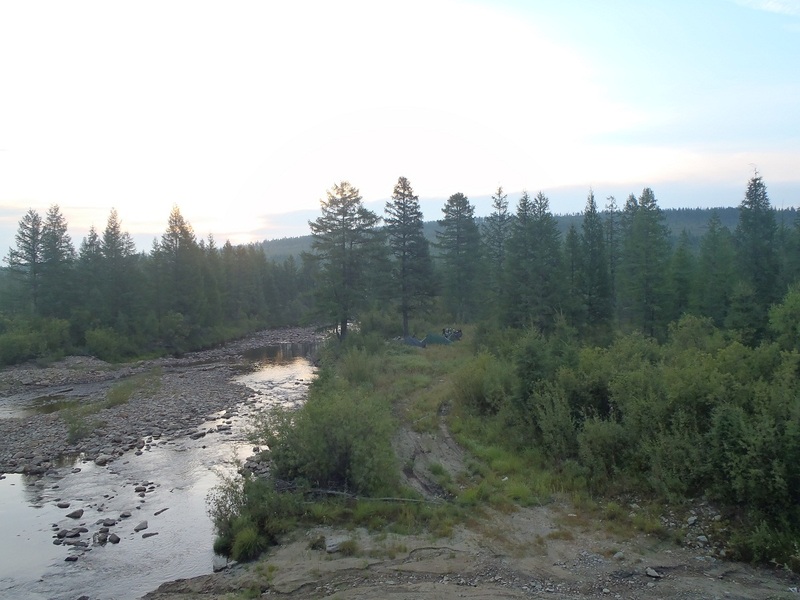 We made camp off the road on an old track near a river at about 9pm and called it a day. Time for something to eat and a cuppa tea! Again today mom had prepared us a lovely breakfast so we sat around for a couple of hours chatting and eating before Nick and Anna took us out to the museums. 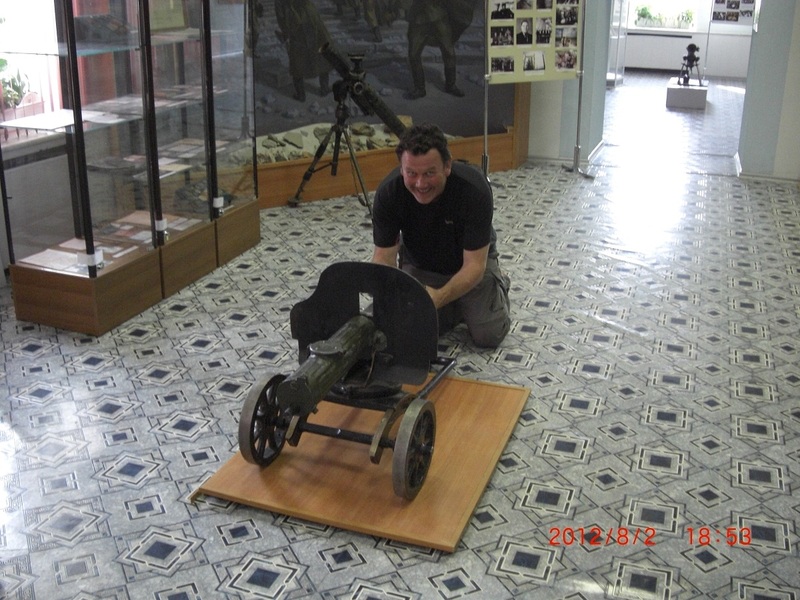 At the Permafrost Museum Yakutsk. 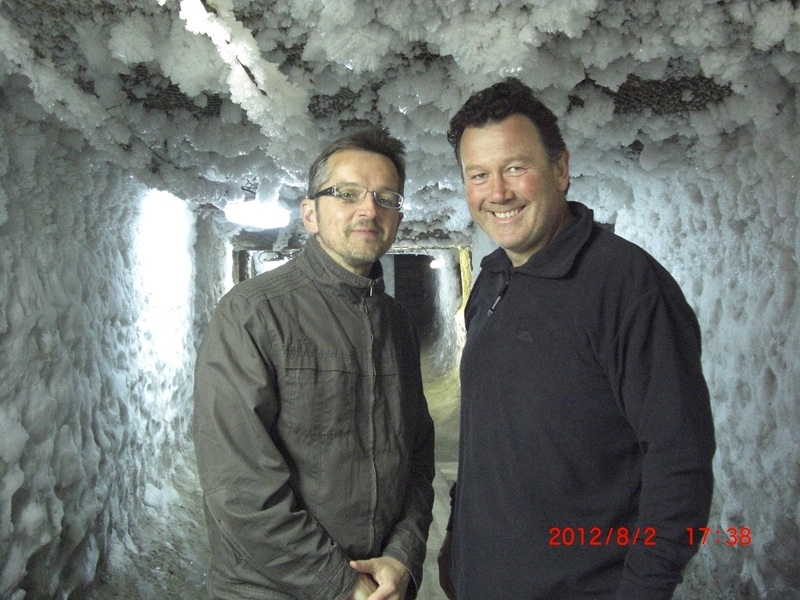 First was the permafrost museum where you went underground 4m and the temperature is -7c all year round. 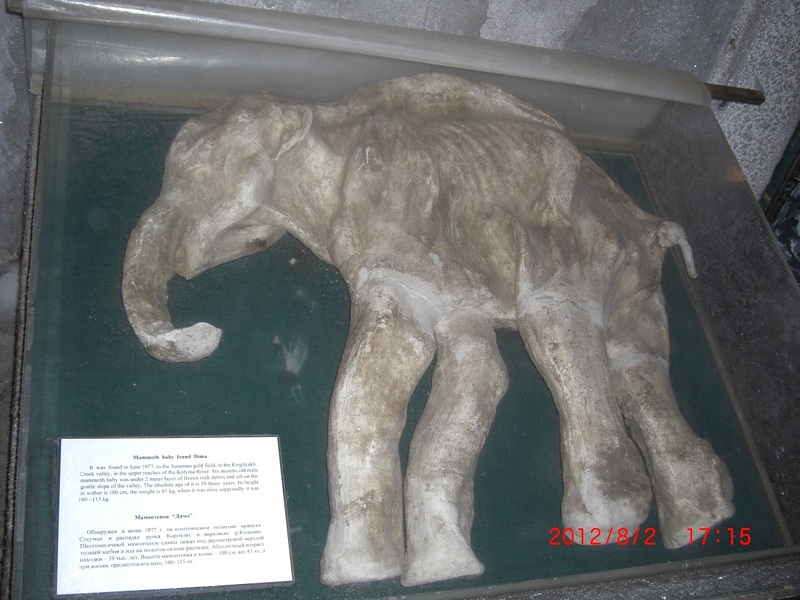 There are few exhibits there but had the frozen remains of a baby woolly mammoth. Then off to the woolly mammoth and woolly rhino museum and last but not least the natural history museum. On the way home we stopped off at a Chinese market where I purchased a new sleeping bag and pair of flip flops, it’s no Northface but better that sleeping in my bike gear!. Went out for a Chinese meal tonight to say thanks to Anna and Nick for their hospitality, really nice place with the short tables great food but nothing like the Chinese we get at home. Awoke in a lovely room in Nick and Anna’s house and could smell something nice cooking. Mum had prepared us a huge breakfast and though she had no English and us limited Russian we sat and chatted to each other for an hour or so laughing and joking, wondering if we were actually laughing at the same things though it wouldn’t have mattered. She is a lovely soft spoken lady and we could have listened to for ages! After breakfast we had a few running repairs to do on the bikes. The air filters were completely blocked up with thick dust and we had to go through the bikes checking all the nuts and bolts as a few had shaken loose on the M56. Next was to clean, oil and adjust the chains. 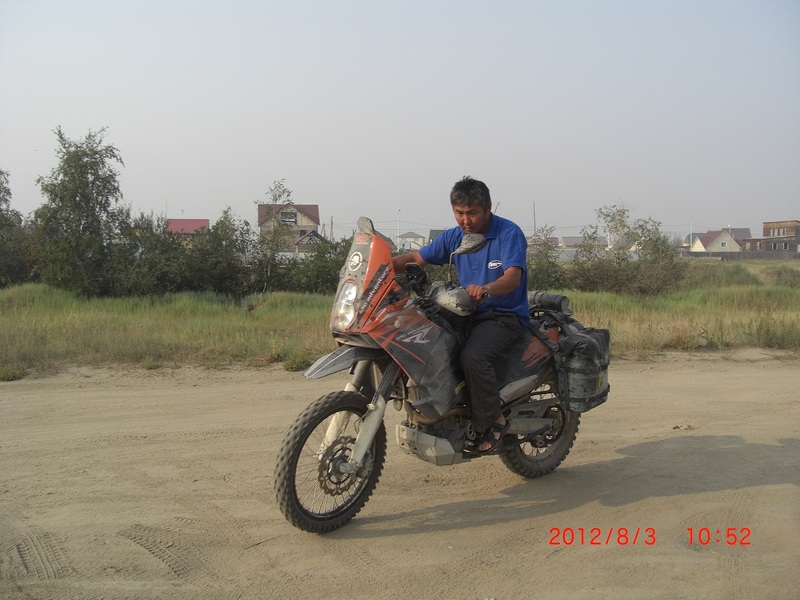 Today was so hot 30+ so working on the bikes took most of the day, then in the evening after a lovely Yakutian dinner Nick and Anna took us down town for a tour. Don’t know what it was! 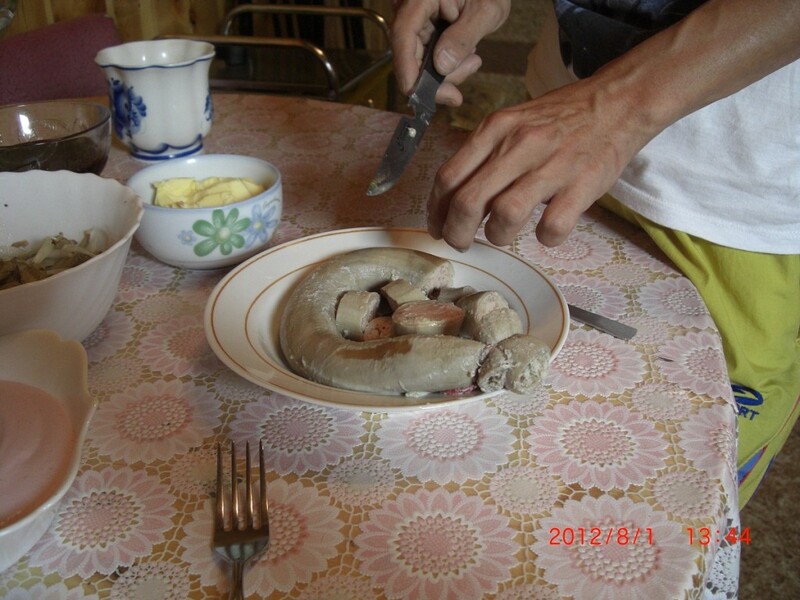 Yakutian lunch..
Yakutsk is a mixture of beautiful new buildings and old tradition style with some complete wrecks thrown in all crammed together. It has the record of being the coldest city in the world with winter temperatures regularly below -40c! Tomorrow we get the full tour from Nick and Anna.